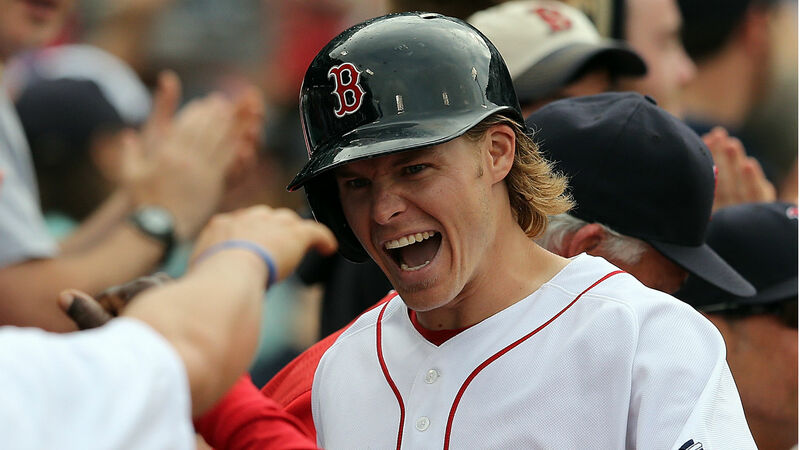 The Red Sox pounded out 18 hits, led by Brock Holt, who hit for the cycle — the first in postseason history — and drove in five runs. The offensive explosion unfortunately overshadowed a great starting performance by Nathan Eovaldi, who allowed only one run and five hits in seven innings. Here are some thoughts on Boston’s victory in Game 3. “That’s the first one ever?” a surprised Holt asked a TBS reporter after the game. Holt, Devers and Vazquez combined to go 8-for-18 at the plate, with seven RBIs and six runs scored. Each made the case for more playing time in the postseason, but who do you sit? For now, the three players will have to bide their time on the bench and wait for a chance to play. As they showed Monday night, they’re ready to deliver when Cora calls. Boston’s powerful lineup (an MLB-leading 5.40 runs per game) and formidable starting pitching draws all the attention, but behind the scenes, the Red Sox do a lot of little things right. Case in point: In the third inning, Mookie Betts aggressively went from first to third on Andrew Benintendi’s single to left field, something that obviously isn’t done very often. That also allowed Benintendi to move to second on left fielder Andrew McCutchen’s throw to third. Betts then scored on a sac fly and Benintendi later scored on a groundout, which was only possible because he’d advanced on Betts’ charge to third. That is the very definition of manufacturing two runs. Another thing the Red Sox seemed to do well Monday night was defensive positioning. The Yankees hit several hard shots that went right at defenders. That might be partly bad luck, but Boston probably deserves some credit for putting players in the right spots. Speaking of strategy, it’s clear Vázquez and Eovaldi had a great plan to attack the Yankees hitters. Baserunning, defensive positioning and pitch selection are often overshadowed by three-run home runs, but they can often make the difference between winning and losing. Boston goes into Game 4 seemingly in control of this series. They’ll start 2016 AL Cy Young Award winner Rick Porcello, who’ll go against CC Sabathia. But don’t count the Yankees out. Sabathia has vast postseason experience (22 starts dating to 2001). If he can get a good five innings and the Yankees turn to their strong bullpen, the Sox could be in trouble. On the other side of the equation, the Yankees’ bats are overdue for their own offensive explosion, having mostly been held in check this series. The Yankees have been both hot and cold against Porcello this season. On Aug. 3, he pitched a complete game one-hitter in a 4-1 victory at Fenway. But the Yankees scored five runs (on eight hits) off Porcello in 5 1/3 innings May 9 in New York. He also pitched seven scoreless (on two hits) against them in April in Boston. Which Yankees team will show up Tuesday — the fearsome lineup that hit an MLB-record 267 home runs this season? Or the one that scored one run on five hits in Game 3?